Dueck EV is BC’s #1 EV Dealer. With three locations to choose from, and over 130 New Volts and Bolt EV’s on ground, our auto group has never been more electric! Speak to an EV Specialist today and drive away in the HOV lane, gas free! This program offers incentives to scrap high polluting vehicles for an electric vehicle and other low carbon forms of transportation. This program allows you to claim $6,000 towards a new Chevrolet Bolt EV, or a new Chevrolet Volt. Pre-Owned EV’s are eligible for $3,000 in Scrap-It credit. BC Scrap-It Program Society is a not for profit society. It is not a provinical or federal government program. As such, all incentives are subject to change at any time without notice as they are directly linked to available funding. All applicants must be able to provide evidence from ICBC that they have had continuous driving insurance (not including storage) on their vehicle, as the registered owner(s), for the 6 month period from the date they apply to the program, backwards. Clean Energy Vehicle for BC (CEVforBC™) is British Columbia’s Point of Sale Incentive Program designed to make clean energy vehicles (CEV’s) more affordable for British Columbians. Through the combined leadership of the New Car Dealers Association of BC (NCDA) and the Province of British Columbia, CEV’s in BC are more accessible than ever. In Vancouver and Richmond, Dueck is expecting a selection of over 200 brand new electric vehicles, arriving daily. 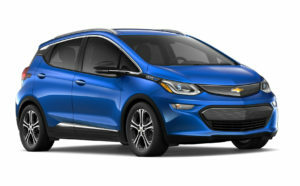 We’ll have the best selection of 2019 Chevrolet Bolt EV’s and 2019 Chevrolet Volt cars for you to test-drive and buy, lease, or finance. Don’t wait! Right now you can save up to $7,000 off a brand new Chevrolet Bolt EV. Contact us today! 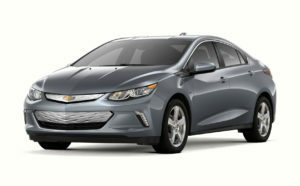 The second-generation Chevrolet Volt offers up to 85km of pure electric driving, and combines the 1.5L gas-powered range extender for up to 680km on one tank of gas. With in-dash battery monitoring, you can manage your driving habits to ensure you get the most out of your electric car. This factors in things like your local terrain, climate control settings, outside temperature, and your driving techniques! Go from work hours to after hours without compromise, thanks to up to 383 Kilometres of range on the Chevrolet Bolt EV. Not only can you go where you want, but the Bolt EV makes it fun to get there. From the beautifully-sculpted exterior to its impressive performance, you’re in for an exceptional driving experience. Plus, with an incredibly spacious interior and the advanced technology, you could say Bolt EV is everything we want in an everyday car. Volt recharges with a 120-volt portable cord in approximately 13 hours or with a professionally installed 240-volt charging system in approximately 4.5 hours. The next-generation Volt makes it easier for owners to confirm their Volt is charging and gauge charge status. The new status system features a specially designed tone that indicates when charging has begun, with additional tones for delayed charging. It will even indicate if the charge port door was left open after unplugging but before entering the vehicle. This will allow owners to pre-set their charging level (8 amps or 12 amps on 120V only) and whether they wish to charge immediately, set a departure time for each day of the week, or set a departure time and a utility rate schedule to charge only at off-peak rates. Owners can input their local utility’s rate schedule into their Volt to assure they’re charging using the cheapest electricity rates. They will only have to program the system once and the Volt will return to these settings every time it is at its home location. Starting from MSRP of $39,095. 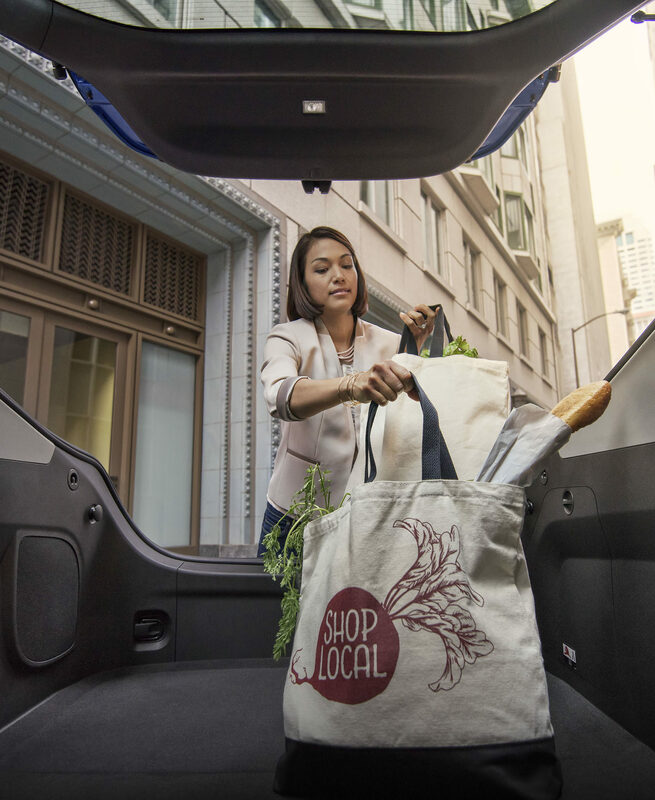 The Chevrolet Volt offers a spacious 10.6 cubic feet of cargo room, plus the wide hatch opening makes it easy to comfortably load the trunk from all sides. With a simple pull of the paddle behind your steering wheel, you’re able to slow down without using the actual brake pedal. This helps convert energy into more electricity and then transfers it back to the battery. Of course, you should still use the brake pedal if you need to stop immediately.